WGCU, a mismanaged National Public Radio affiliate, broadcasting in the Southwest Florida area, is attempting to extort surcharges from its listeners for programming carried for free by other affiliates. WGCU-FM (90.1 FM) is an NPR-member radio station. 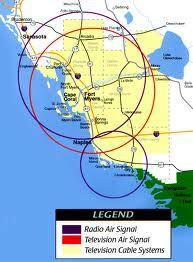 Licensed to Fort Myers, Florida, USA, the station is owned by Florida Gulf Coast University. WGCU’s schedule consists of jazz and NPR news and talk. WGCU-FM’s programming is simulcast on ‘WMKO FM 91.7, a full-time station licensed to Marco Island to serve the Naples area. WGCU-FM first signed on in 1983 as WSFP-FM, a station owned by the University of South Florida in Tampa, owners of public broadcasting stations WUSF FM and TV. At the time, Fort Myers / Naples was the only media market in Florida without any public broadcasting stations. WSFP-FM was largely a rebroadcast of WUSF-FM. The broadcast license was transferred to the new Florida Gulf Coast University in 1996, while the finishing touches were being put on Florida’s newest university. WSFP-FM changed its calls to WGCU-FM on June 13, 1997, two months before FGCU opened. Broadcasting from its transmitter site in southern Charlotte County, WGCU-FM’s signal is barely listenable in Naples, though its grade-B signal reaches much of northern Collier County. Soon after FGCU opened, it requested funding for a second station to serve the Naples area. WMKO signed on for the first time in 1999. In 2009, WGCU moved its classical music programming to a 24/7 feed on its digital sub-channel. WGCU is also referenced for hurricane information on signs across southwest Florida. shock to the thousands of local fans of one of NPR’s most popular shows. The reason given by WGCU’s management was that the station could no longer afford the program that the rest of America enjoys on a weekly basis. 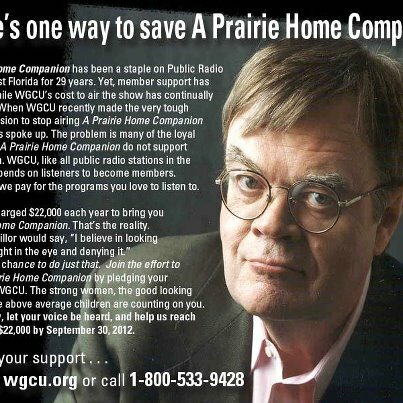 Shortly after WGCU announced this cancellation, a series of WGCU-produced promos began, suggesting that WGCU would bring back A Prairie Home Companion if listeners, many of whom are already contributing members of the station, pay a surcharge for the program. When the Mafia does this kind of thing it’s called extortion. Asking listeners to pay additional money, something no other NPR affiliate has ever done, because of consistently bungled mismanagement of the station is outrageous. Since WGCU is owned by Florida Gulf Coast University, it becomes the responsibility of that University to investigate the mismanagement of its broadcast entity. WGCU’s General Manager Rick Johnson, whose attitude toward anyone who questions his policies might best be described as arrogant and smug, claimed to be shocked that Florida Governor Rick Scott vetoed more than four million dollars in funding for Public Broadcasting. 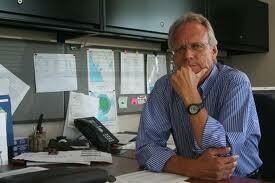 But Scott’s veto, devastating as it might be, does not explain WGCU’s mishandling of its budgetary responsibilities. Nor does it explain the boondoggle surrounding the attempt by the station to extort additional funding from its listening members to bring back programming that WGCU management has cancelled because they claim it is not affordable by the station. Just where has all the money from all the pledge drives gone? I, for one, would like to know. If Rick Johnson’s management team is responsible for mismanagement of the station, they should be replaced by a staff more answerable to their listeners and supporters. The number of experienced broadcast personnel now unemployed by a shrinking economy should easily provide replacements. This entry was posted on July 18, 2012 by shauncostello. It was filed under Fiction and non-fiction from Shaun Costello, Uncategorized and was tagged with A Prairie Home Companion, extortion, Florida Gulf Coast University, mismangement, National Public Radio, NPR, Pledge Drives, Rick Johnson, Rick Scott, WGCU. You are so interesting! I do not believe I’ve study anything like that before. So great to discover an additional person with some unique thoughts on this subject. Critically.. many thanks for starting this up. This web site is one factor that is required on the internet, somebody with some originality!